IIITDM Kancheepuram was functioning at IIT Madras campus till Aug 2011. 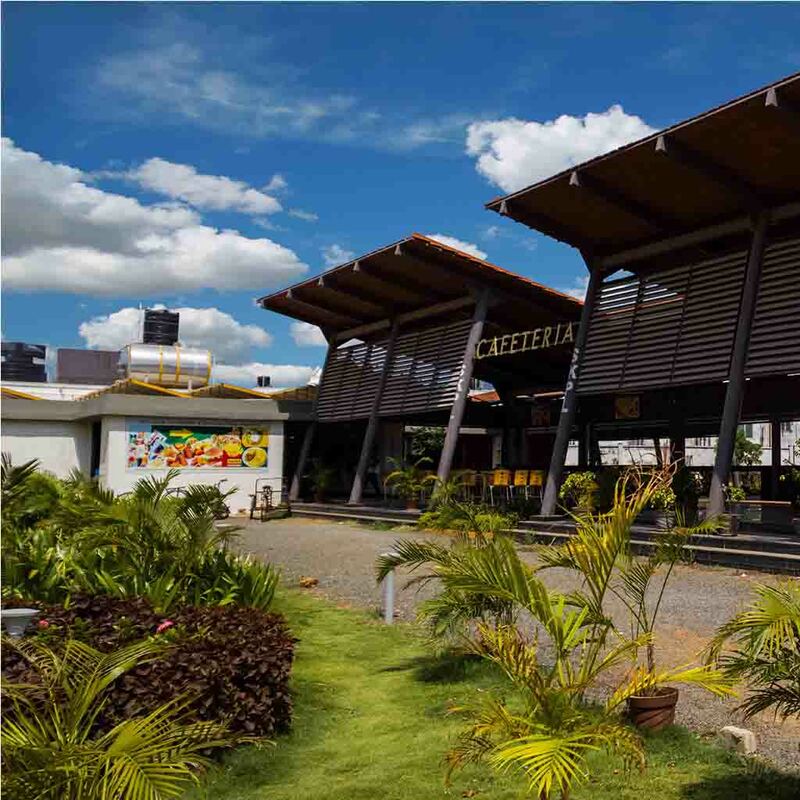 Later, the Institute moved to its permanent campus located at about 30 kms from Chennai International airport, at Melakottaiyur village, off Vandalur-Kelambakkam Road, Chennai – 600 127. 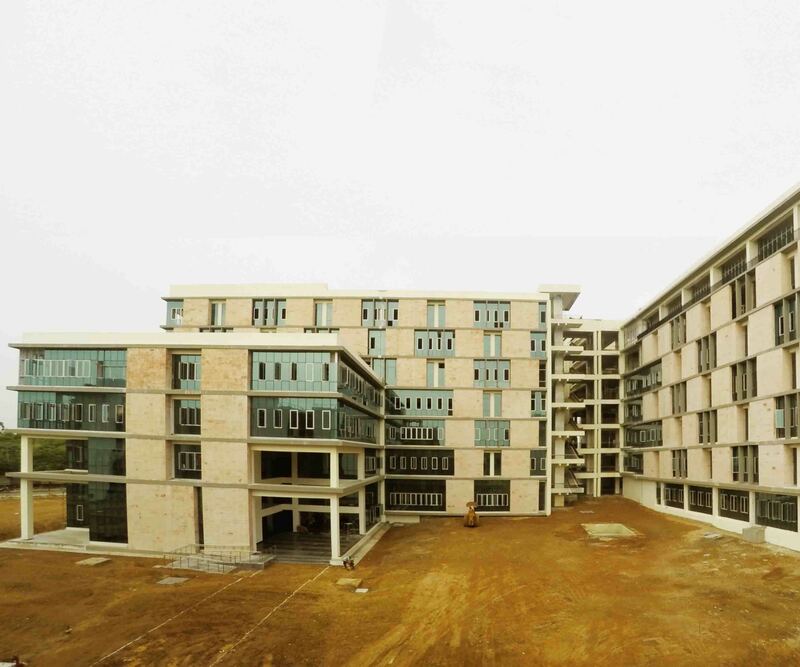 The state of the art permanent campus is under development in 51.75 Acres allotted by the Govt of Tamilnadu which is close to many educational institutes and is well connected to the Chennai City. 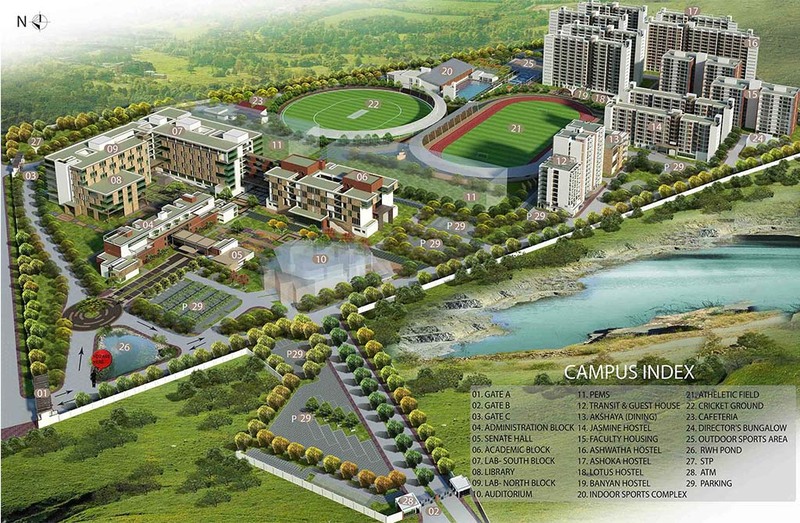 The Physical Education University, TN Police Housing Quarters and Unitech Residential Zone are close to the Institute. 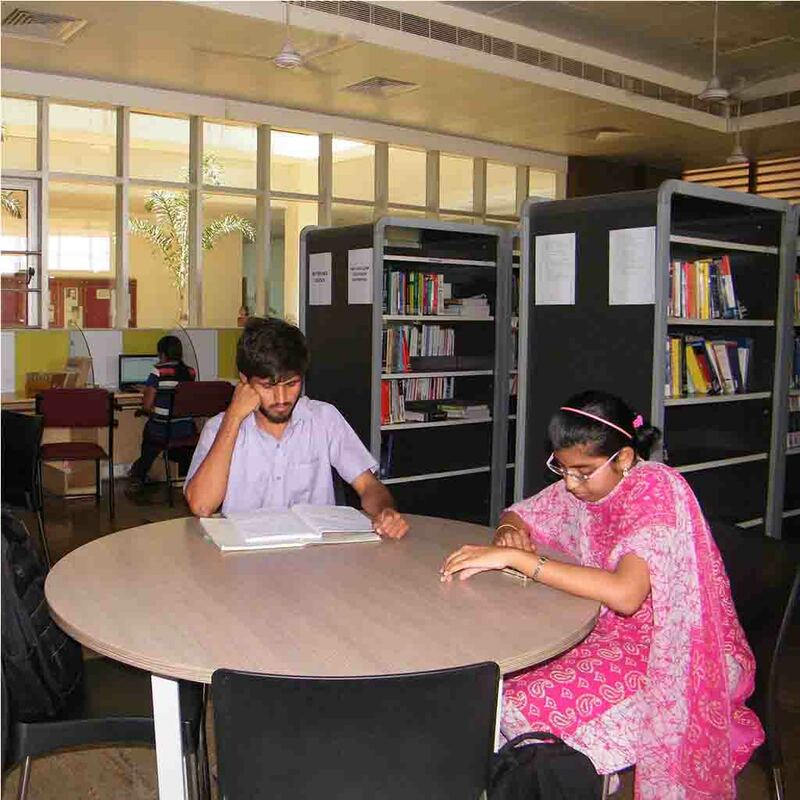 Institute has state of the art laboratories, class rooms, library and hostel facilities already established to cater the current requirements. IIITDM Kancheepuram comprehends its importance and potential as an academic institute of excellence that would create and develop new generation of engineers and technologists with the ability to lead industries in this globally competitive economic environment. To aid in this mission, the central library of IllTDM Kancheepuram is responsible for the acquisition and dissimilation of information in various forms. The library has a large and diverse collection of books by international and national authors, and subscribes to many national and international journals and electronic sources which are also available through intranet. IIITDM Kancheepuram being a residential Institute provides accommodation to all its students. Each hostel room is provided with a reading table, a chair and a cot. IIITDM Kancheepuram being a residential Institute provides accommodation to all its students. 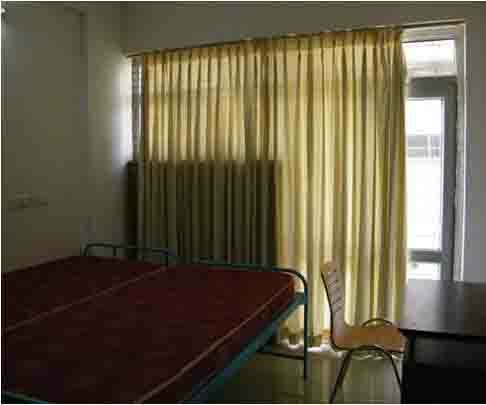 Each hostel room is provided with a reading table, chair and a cot. 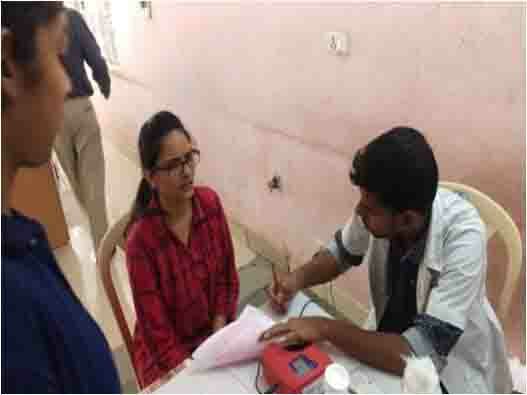 Medical Aid Centre provides 24x7 medical assistance to all the residents. The Institute also has tie-ups with reputed hospitals near by to provide medical care and also supports an ambulance service to attend any emergencies. 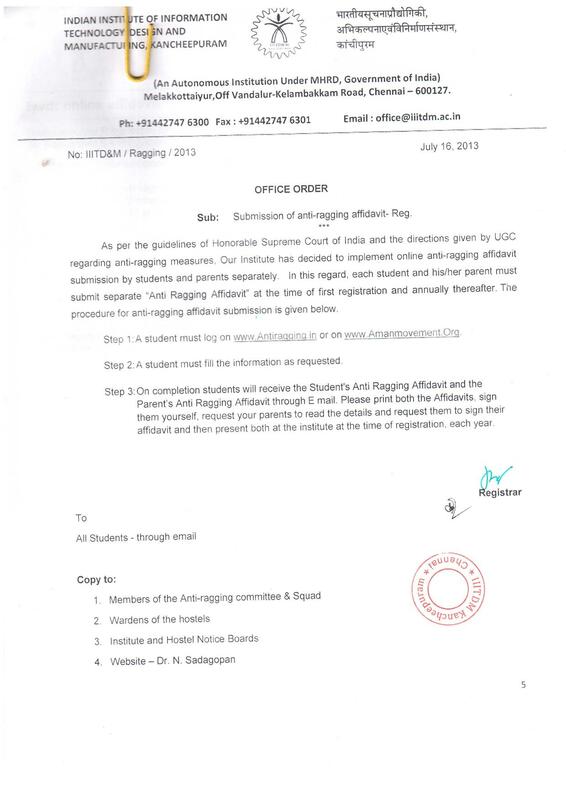 All the students are covered under group medical insurance arranged by the Institute. The campus has an Indian Bank ATM and e-launch service. Indian Bank, Karur Vysya Bank and City Union Bank are available within 2km radius. 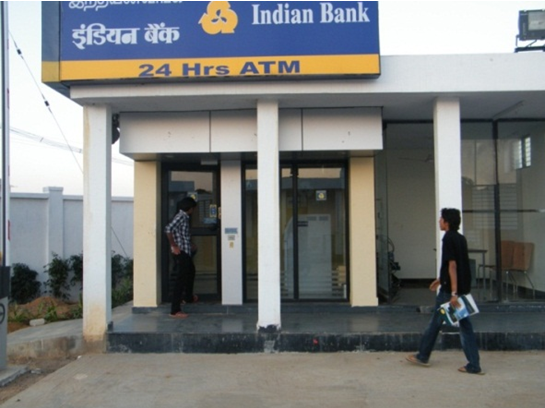 Institute banks with Indian Bank, Nallambakkam, Chennai – 127. All students are advised to open a savings account with Indian Bank. To open an SB account in Indian Bank, the students would be required to submit Institute Admission letter and two Passport size photos. Bank representatives present at the campus will facilitate to open new account.